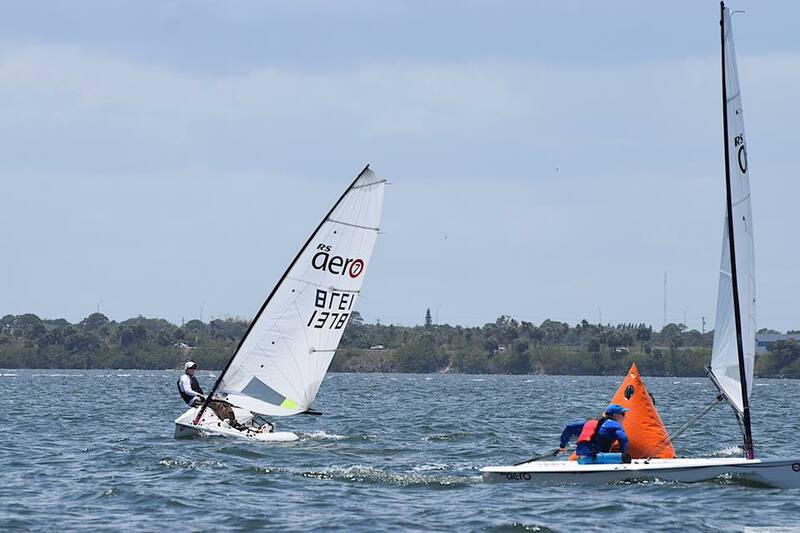 Melbourne YC hosted the first central Florida gathering of RS Aeros over April 22/23. Looks like Paul Gingras' efforts on his RS Aero Hiking Bench in the Sailfish Club gym paid dividends! The RS Aero class participation in the Melbourne Yacht Club Spring Small Boat Regatta became a one day event (this was not unique to the Aeros) as Sunday presented a threat of very inclement weather; upwards of 5" of rain fell just south of the area. Looking at the conditions and weighing the weary status of the group after Saturday's pounding in winds to 25 plus, all were happy to accept the outcome from Day 1 and to pack up while dry. Paul Gingras prevailed followed by Dan Meade then Greg Popp. Don Van Schuppen was just pleased to be able to again sail after serious medical issues and Jeff Leach soothed his challenging equipment problems and extended time in the water with the inimitable Sailfish Club run punch shared with the crew. The universal comment was how much we enjoyed sailing together and when could we do it again. The best of the Aero is the camaraderie coupled to fun going fast and the good natured competition! It is what sailing should be all about! 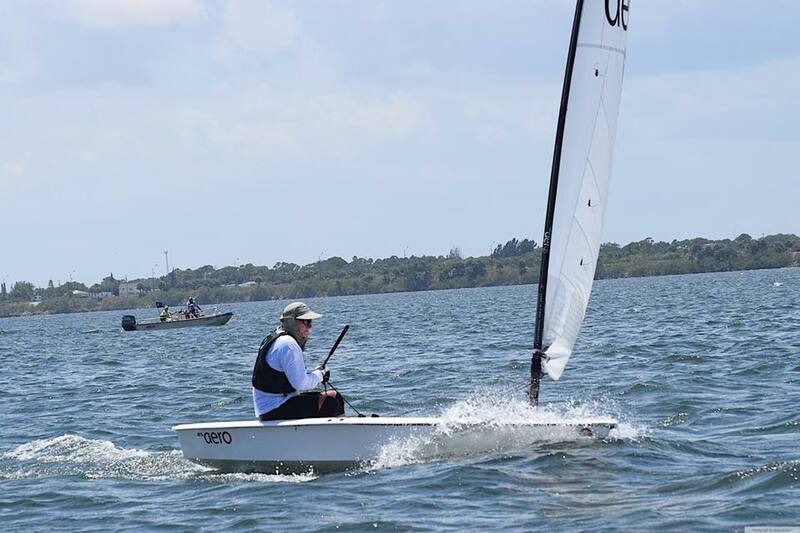 Ross Hebert of MYC got some photos of us on Course A on Saturday.